To prepare the students for the 21st century and to adapt them to the latest ICT friendly education which will develop their knowledge, skills and abilities to fit globally, Daffodil International University distributed 500 Laptop at free of cost among the students in the third phase at its continuous process of Laptop distribution on July 28, 2012. 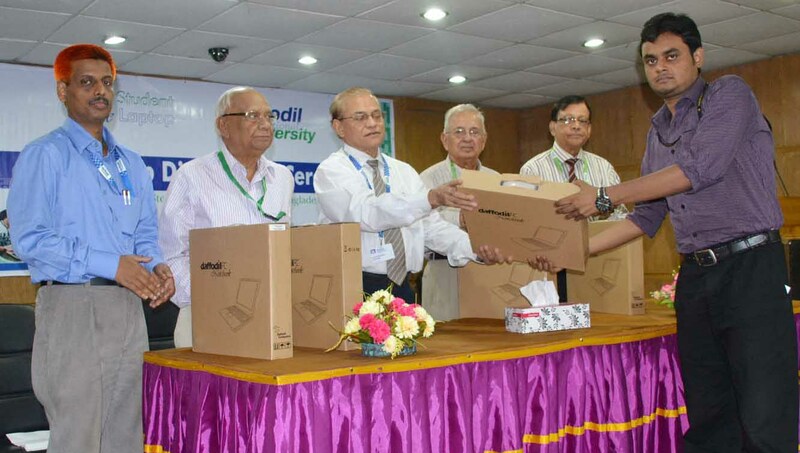 Professor Dr. M. Lutfar Rahman, Vice Chancellor of DIU was present on the Laptop Distribution Program as the chief guest. Among others distinguished guest Dr. Aminul Islam, Emeritus Professor, Professor Dr. S. M. Mahbubul Haque Majumder, Dean, FSIT, Professor Rafiqul Islam, Dean, FBE were also present in the occasion.